Acer’s new Ferrari series of laptops features a winning combination of style and performance. The 4000 model is clad in carbon fiber, which conceals the high-speed AMD64 TurionTM processor at its heart. It comes equipped with a DVI socket, a dedicated 128MB VRAM, and is user-upgradeable. In addition, the notebook’s AMD PowerNow! technology extends system battery life, while HyperTransport radically improves overall performance. 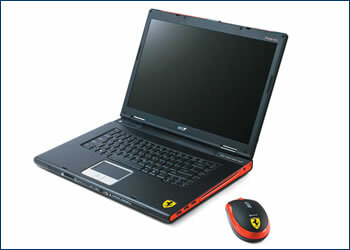 For removable media, the Acer Ferrari 4000 features a DVD-Super double-layer reader/burner and a 5-in-1 card reader. 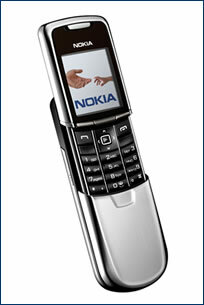 Weighing in at 134 g and measuring 107 x 45 x 16.5 mm, the Nokia 8800 handset is heavy and sleek at the same time. The stainless steel cover slides back at a touch to reveal a 0.5 megapixel camera on the back and a 262K-color, 208 x 208-pixel TFT display in the front. The 8800 also offers a long list of business-savvy features such as Bluetooth, GPRS, EDGE and GSM 900/1800/1900 MHz for data and voice connectivity, as well as an FM radio, MP3/ACC music player, and 64 MB of internal memory. 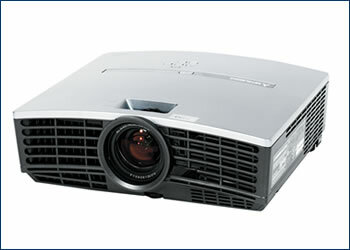 Mitsubishi’s XGA DLP projector XD400U is designed to dazzle users with its innovations. A contrast ratio of 2200:1 means that you’ll never be left guessing when it comes to picture sharpness and brightness. So that nothing distracts from your presentation, the XD400U functions with an extremely low-level fan noise. The XD400U also proves that feature-packed projectors don’t have to be heavy or bulky-looking – at just 2.9 kg, you can take it with you anywhere. And because the design may make it irresistible to others, an anti-theft pin-code has been installed.